GB-16-L - Bird Deluxe Glass Water Bottle 16 oz 5/8"
Metal attachment to turn recycled beer or old-fashioned soda bottles into a drinking fount for birds, chickens or other fowl. 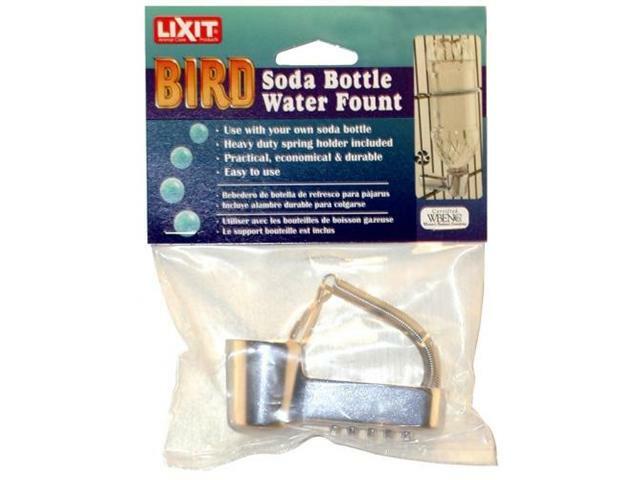 Use with your own soda bottles. Heavy duty spring loader included.